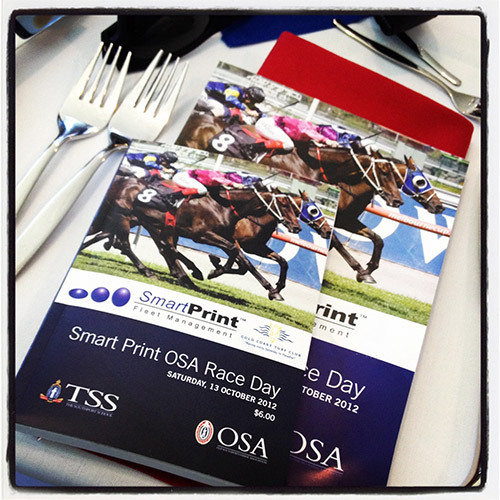 The OSA Race Day was held on October 1st at the Gold Coast Turf Club. The weather held out and the track was dry, allowing all seven races to run on the day. 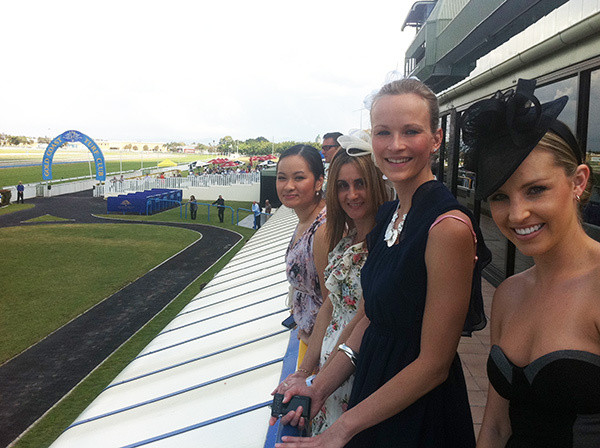 All guests were able to watch each race from the first-class viewing deck of the Winner’s Circle Room, providing great trackside entertainment for all the 140 guests from the local community who supported the OSA’s only fundraising event for the year. Many guests did not go home empty-handed, with over 30 raffle prizes drawn during the day. All prizes were generously donated by our local community, with prizes worth hundreds of dollars up for grabs. An auction of a limited edition TSS Reds players jersey was outbid by none other than keen Reds and TSS supporter, OSA President Paul Wood. The Race Day provided a chance for all guests to enjoy a good meal, plenty of drinks, a chance to place a bet on any of the seven local races and numerous interstate races, have a chance to network and catch up with many people from the Gold Coast community, all while supporting a very worthwhile cause. The OSA is the only Old Boys association in Australia to offer bursaries to students wishing to enrol at The Southport School and all funds raised from this event go towards the OSA Bursary fund. Bursary conditions apply. Applications can be found of the TSS website. Inquiries can be directed to the OSA Office; Tel 07 5531 9803. Villotti Photography; Outermark Australia; Konc Hairdressing; Esteem Day Spa Marina Mirage; Coca-Cola; Streets; Gold Coast Alfa; Coolamon Mining; Pelican Waters Golf Club; Negoriants Fine Wine Shippers; Surfers Paradise Marriott Resort & Spa; Shuck Seafood; Gold Coast Turf Club. SmartPrint Fleet Management (Major sponsor); Bendigo Bank (Race Sponsor); Stewart Silver King and Burns; Midway Metals; RPS; ISCS; KordaMentha; Anthony Delaney Lawyers; Yeats; Burling Brown Architects; Ross Wolbers; Outermark Australia; The Southport School; Aussie Home Loans, Toowoomba. No doubt, due to the success of the day, everyone will be back next year!